Space was the biggest challenge for this library. 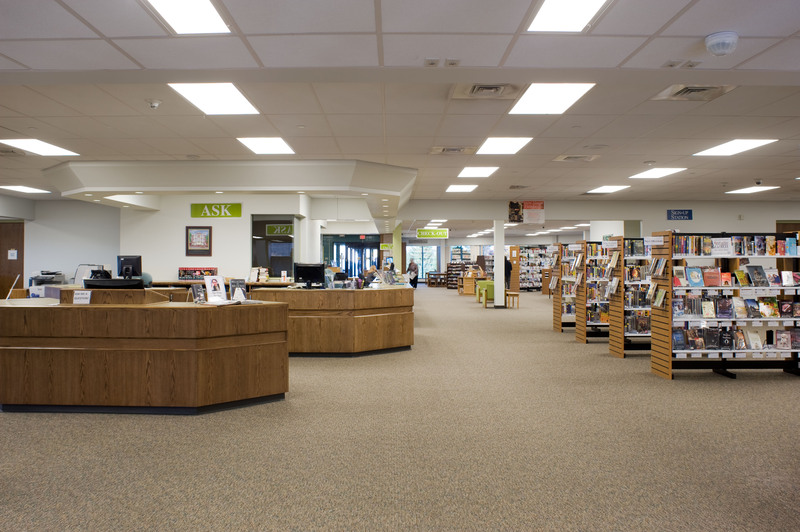 Service areas, staff offices and the children’s section were too small and overcrowded to accommodate the growth in use of the library. Because of the age of the building the interior was dated, lighting was inappropriate, and energy costs were high due to an inefficient system. As we studied the existing space we saw many ways to alleviate all the challenges by repurposing, reconfiguring, and modernizing through new infrastructure and design solutions. New lighting, brighter colors, and interior glass walls are several of the elements that we combined to make this an inviting and accessible place to be. Improvements were made to the exterior of the building as seen on this east façade view. 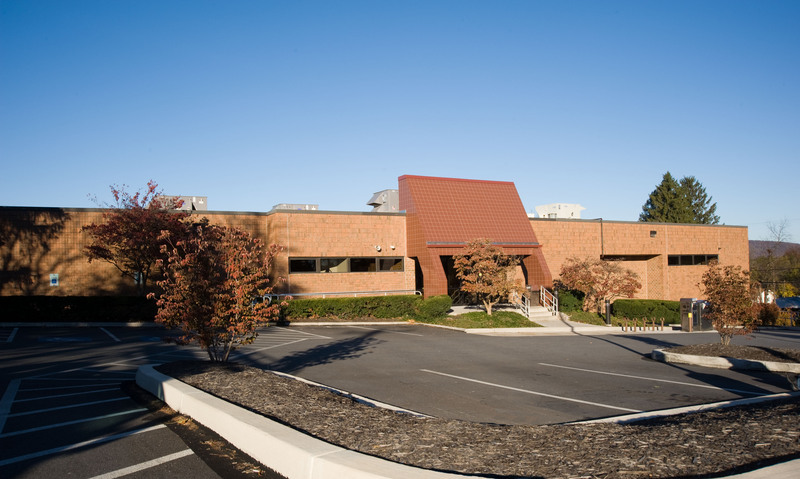 The new adhered rubber roofing system solved many problems such as dampness and leaks, while interior comfort and cost efficiencies were improved with a new HVAC system. Bike racks and book drops were added to provide more conveniences for patrons at the expanded east parking lot. Patrons entering from the east entrance are now greeted by a spacious, well-lit open atmosphere. 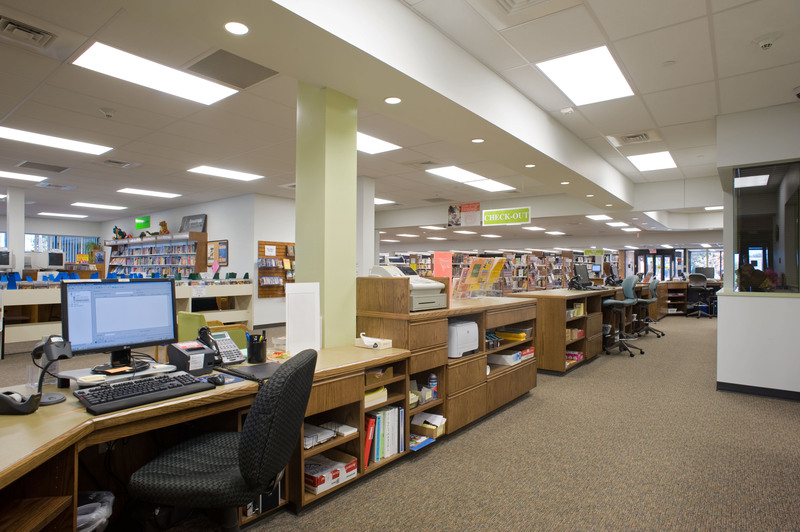 The reference and circulation desks are both easily approached and designed as part of the room, making staff more accessible to patrons. The down lighting above the desks provides subtle orientation. By using a computer modeling technique the new lighting scheme was designed to minimize the number of fixtures while providing the ideal comfort level for reading. Gentle wood tones are used with soothing green tones and complimented by the soft warm whites in the walls and ceilings. With a muted patterned carpet on the floor the entire interior conveys a serene, calming atmosphere that encourages patrons to explore and linger. 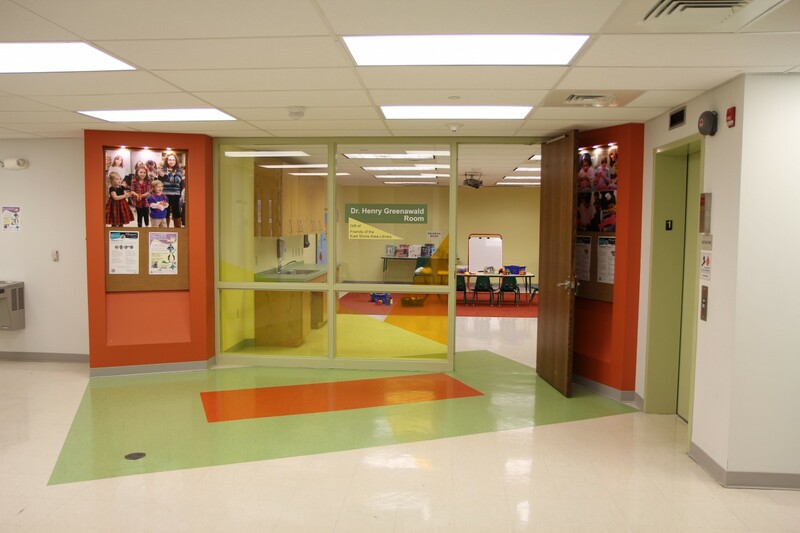 Signage is placed for key areas, and interior glass windows connect administration staff to the activity in the main room. This view, looking into the central area from behind the staff workstations, shows how the space for staff is now organized for easy interaction with patrons as well as functionality for their tasks. 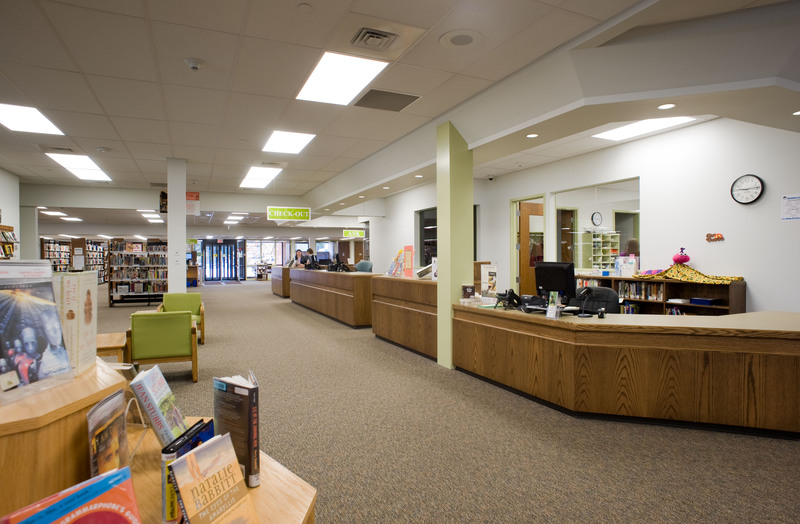 All the new components are part of the overall softer design that gives the entire library a cohesive appearance.